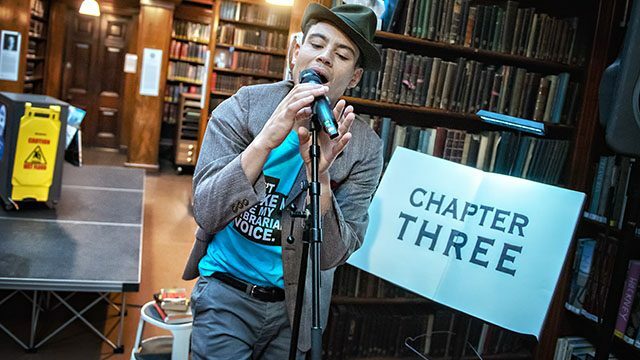 In celebration of The Leeds Library’s 250th anniversary, Leeds Playhouse and Leeds Libraries have come together to produce an intimate performance which explores our relationship with libraries past and present. The Things We Wouldn’t Otherwise Find takes place within the beautiful surroundings of The Leeds Library – a hidden gem at the heart of the city. From 17th November, the show will tour many other local libraries across the region. 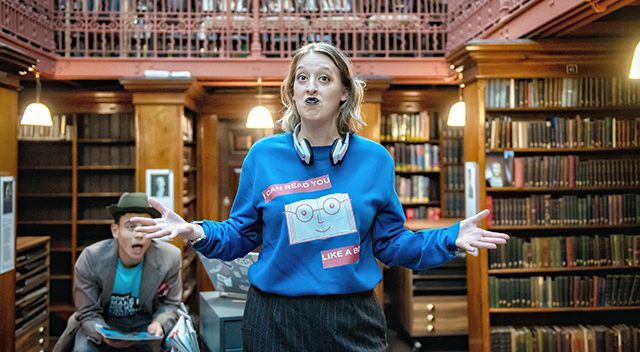 Emma Adams’ 50-minute play presents a series of chaptered vignettes to unpack some of the personalities who exist within these communal spaces, whilst evaluating the role and importance of libraries in society. The play is bookended – for want of a better word – in classic Dickens tradition by the ghosts of libraries past and present. These spectral figures reflect on the evolution of library spaces and the information they contain, exploring how access to knowledge has opened up with the development of modern civilian liberties and digital technology. Sinead Parker and David Judge play ten roles between them, showcasing a breadth of characterisation and range. Compelling performances include “the man with too much time” – richly realised by Judge as a gentleman well in advance of his own years. Parker also hands over a number of comical performances, peaking with a book thief who has a brilliant Victoria Wood flavour. David Judge in The Things We Wouldn’t Otherwise Find. Credit: Anthony Robling. Director Tess Seddon makes dynamic use of the compact and cosy space of The Leeds Library. There’s a genuine playfulness to the performers’ engagement with the books around them, and it’s occasionally frantic and boisterous, which feels a little impolite in such mild-mannered surroundings. It just goes to show how any ground can become a stage to drama – generating its own special atmosphere and unique audience response. The only caveat is that the production feels slightly under-resourced from a technical standpoint, which could have been enhanced with some simple spotlighting. In such an impressive venue, and with these dark winter evenings drawing in, a touch more technical support could have lifted the spirits of our library ghosts to another plane. The Things We Wouldn’t Otherwise Find is a quaint little production full of ideas; lightly touching on romance and politics with no shortage of humour along the way. Library professionals will appreciate some detailed research and in-jokes on the subject too. Brilliantly bookish and a love letter to the printed word, this alluring piece reminds us of the importance of libraries as a safe and shared space, much like theatre itself. Be sure to check out this play with your library books – and don’t worry about keeping your voice down. Cast: Sinead Parker, David Judge. 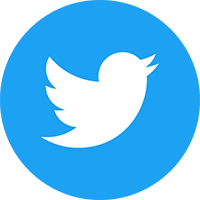 Directors: Tess Seddon Writer: Emma Adams Theatre: Leeds Playhouse Running time: 50 minutes Dates: 6th to 17th November 2018.